Have you started a diet as part of your New Year’s Resolutions? The holidays are traditionally a time to relax. We all eat more and exercise less. It is surprisingly easy to put on weight – more so as we get older. Research undertaken by the Australian Bureau of Statistics reveals that 63% of Australian adults over 18 years and 25% of children aged 5-17 years are classified as overweight or obese. The risks of being overweight are well documented – Increased risk of cardiovascular disease, high blood pressure and type two diabetes. In response, health and weight loss industries have grown exponentially. 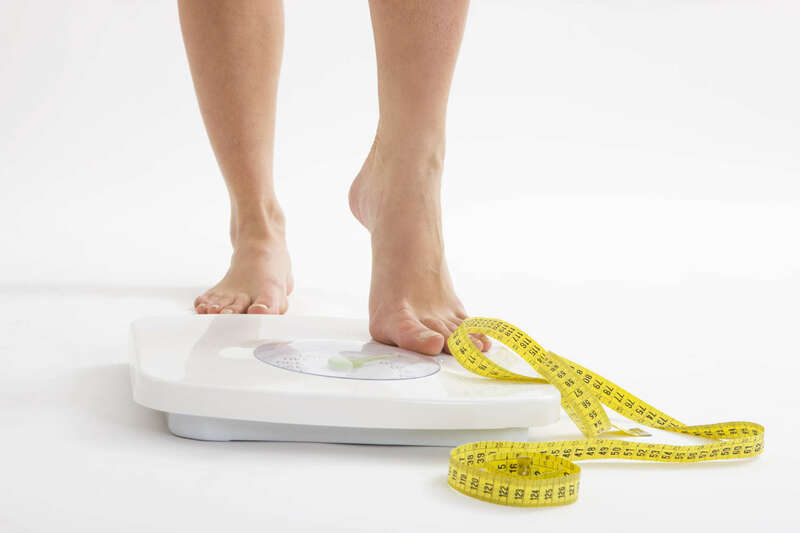 It’s estimated that Australians will spend $6.6 billion on weight loss products in 2013-2014. We are bombarded with an endless array of new diets and celebrities spruiking different ways to shed the holiday weight. It’s laudable to reduce weight if recommended, and reduce the risks associated with being overweight. But it is important to be sensible about how we do it. Choose the wrong way and you risk damaging your health, and many people may not realise this, but your teeth as well. For example two popular diets, The Lemon Detox Diet and the Alkaline Diet, which have been crtiticised by the Dietitians Association of Australia (DAA), may also be harmful to your teeth. The Lemon Detox Diet advocates consumption of a Lemon Detox drink made from lemon juice, water, cayenne pepper and Madal Bal Natural Tree Syrup. Proponents of the diet recommend drinking at least 2 litres of this mix per day, but consume no solid foods. Lemon juice is very acidic with a pH of 2, a very similar level to stomach acid. Sipping the lemon drink constantly throughout the seven-day diet puts your teeth at risk of acid erosion. (This is where the acid in the drink irreversibly washes away the hard protective enamel layer of the teeth, exposing the soft dentine layer.) This washing away of the outer layers of your teeth subsequently causes sensitivity to everyday things like cold. Additionally the regular consumption of the detox drink will maintain your mouth’s environment constantly at acidic levels, meaning the teeth are constantly at risk of developing decay. The Alkaline Diet received media attention this time last year when Victoria Beckham tweeted about an alkaline diet cookbook. The theory underpinning the diet is that some foods cause your body to produce acid that can be harmful and cause issues like arthritis and cancer, whereas other foods can make your body more alkaline – protecting you against these conditions and also helping with weight loss. The body has many regulatory mechanisms in place to keep pH balance (known as homeostasis) so the science behind this diet is disputed. Nothing you eat is going to substantially change the pH of your blood, as any change to a more acidic or alkaline environment stimulates the body to restore optimal pH levels. Some of the advice in the Alkaline Diet, including increasing vegetable intake and restricting sugar, alcohol and highly processed foods, is very positive for general health and also for maintaining healthy smiles. However. the diet severely limits many important food groups that are essential to a balanced diet – such as meat, poultry, dairy products and some grains and fruit. To remove these from your diet means you risk missing out on some vital nutrients. Additionally there is no evidence to support the use of ‘ionized water’. Ionized water can be harmful to your teeth if consumed regularly with lemon or lime as the acidity causes irreversible erosion of the enamel layer. At Medlands, like most health professionals, we don’t condone fad diets. If you are going to follow a diet that involves consuming a lemon drink even if it is just a glass of water with lemon first thing in the morning, it’s a good idea to rinse with plain water immediately after consuming the drink and/or chew sugar-free gum. Doing so stimulates salivary flow – your natural protection against acid erosion. We also recommend waiting at least half an hour before brushing your teeth, as the brushing action can further damage your teeth’s enamel softened by an acidic drink. What about low carbohydrate, high protein diets? When the body is deprived of carbohydrate, a process called ketosis occurs. Ketosis can cause bad breath. Bad breath related to a low carbohydrate, high protein diet is very difficult to combat. Other side effects of this type of diet include constipation and fatigue. If you are experiencing bad breath it is important to ensure that it is not related to dental disease such as decay or gum disease. The ketone bad breath (in the absence of a low carbohydrate, high protein diet) can also be a warning sign of diabetes, so consult with your general medical practitioner. Maintaining optimal oral hygiene including tongue cleaning, drinking plenty of water particularly after meals and chewing sugar free gum or mints can help improve symptoms. Only 5.8% of Australian adults over 18 maintain adequate intake of fruit and vegetables. It is tempting to fall into a fad diet or an exotic weight loss scheme for your 2014 New Year Resolution, but sometimes focusing on the basics is the best place to start! Restrictive diets are difficult to maintain long term and weight is often regained once the diet has stopped. Additionally the diets may be unbalanced and can be deficient in essential nutrients, vitamins and minerals that are integral to general and dental health. There is a variety of resources available to help lose weight and maintain a healthy lifestyle. The Federal government’s Eat for Health website is a great resource as well as Dietitians Australia who have great tips and nutritional information.